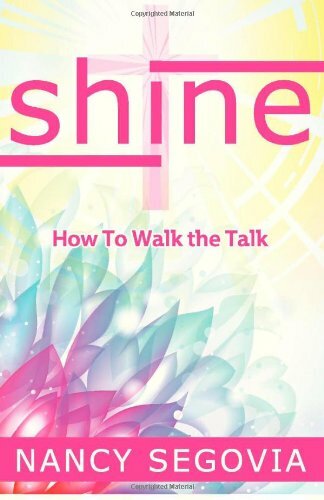 Oftentimes, when reading a devotional book, an author can come across with knowledge that makes the reader almost feel hopeless to be able to “walk the talk.” What I appreciate the most about Nancy Segovia’s book, is that she shares her struggles, and gives insight regarding what she learned when processing situations and her reactions. Her suggestions as to how to walk the talk are practical and Bible-based. She includes prayers that can be used by those of us wanting to walk the talk. A number of years ago, I learned that I could use other people’s words…as long as what I was praying was sincerely coming from my heart. Often it takes reading the prayers of others to find oneself growing closer to God, and then the words can begin to flow from our own thinking.